Sorting through the competing mythologies about Reagan's role in the Cold War endgame, bestselling author James Mann provides controversial and definitive answers to one of the era's most baffling mysteries. 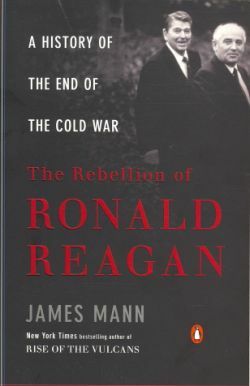 Drawing on recent interviews and previously unavailable documents, Mann offers a fresh and compelling narrative that sheds new light on the hidden aspects of American foreign policy, assessing what Reagan did, and did not do, to help bring America's four-decade conflict with the Soviet Union to a close. Revealing everything from undisclosed secret messages between Reagan and Moscow to private battles between Nixon and Kissinger, Mann dispels the facile stereotypes surrounding Reagan in favor of a levelheaded, cogent understanding of a determined - and often misunderstood - president.